Knowledge Base > Auction How-To’s > How do I update the Paid/Unpaid status of an invoice? To manually update the status of an invoice, click the bidders name and change the Paid/Unpaid status from the drop down menu. 1) From the Auction Dashboard, click on “Invoices”. 2) Click on the Name of the winning bidder. 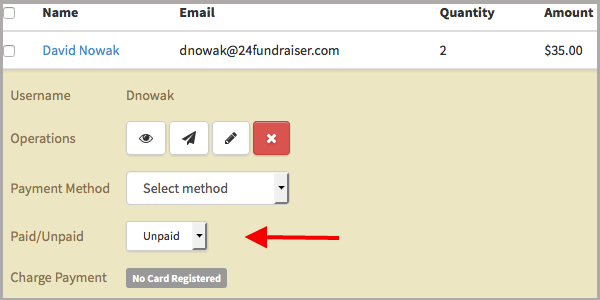 3) In the “Paid/Unpaid” row, choose the “Paid” option.